Patricia Balacich has practiced the art of yoga for a number of years and has received her teacher training at Integral Yoga Institute. Patricia's classes are challenging yet fun, focusing on breath, proper alignment, and inner awareness. 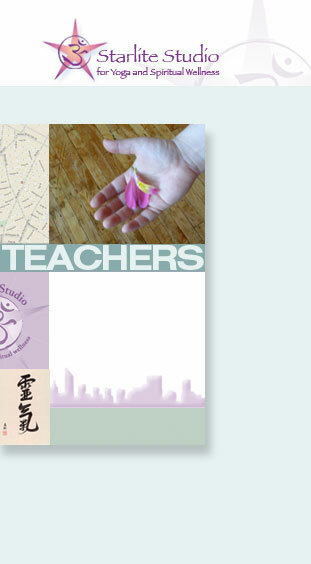 Patricia encourages her students to move and breathe at their own pace, finding their own, unique way to a content mind, a strong body, and a healthy and joyous spirit. When not teaching yoga, Patricia is a graduate student of Italian. She is happy to have found such a nurturing and supportive community in which to learn, teach, and grow. Om shanti! about Mr. Kripalu's philosophy is the practice of compassion in yoga and in life. 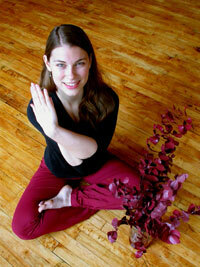 Dayna is an Intermediate-Level certified Integral Hatha yoga teacher and Reiki Master. She offers herself as a vessel for the Divine when teaching. All of her classes flow from an intuitive understanding of what students need at the moment, the energy of the group, and what inspiration is flowing to her. Dayna has felt sincere and clear guidance from Swami Satchidananda (Gurudev) since her first steps into the Integral Yoga Institute in 2001. Often referred to as "Dayna-Ma" by her students, she radiates a compassionate, nurturing, maternal energy in all her classes. For Dayna, yoga is an offering of love that leads us to the internal-eternal light within all. Monica Russell is an Integral Yoga Certified Hatha I Yoga Teacher, member of the IYTA, the Yoga Alliance, and a Certified first level Reiki Practitioner. Monica is committed to living the principles of the yogic teachings in all settings, from her busy days working in television to the moment she steps onto the mat. She recently completed an intensive Therapeutic Yoga Training & Certification Program at the White Lotus Foundation in Santa Barbara, CA. led by Cheri Clampett and Arturo Peal, and integrates elements of this restorative, healing practice within her classes. Monica leads private, corporate and group classes throughout New York City, and is dedicated to serving the mind, body and soul through a conscious, compassionate practice. 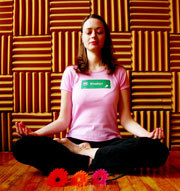 A student of yoga since 1999, Naz has been training in Anusara style since 2003. She completed her 200-hour teacher training with Lisa Keays at Yoga Mandali and is currently studying with John Friend, Dr. Douglas Brooks, Sally Kempton, and other recognized teachers in the Anusara community towards her certification. Naz appreciates with gratitude her initial teachers Elena Brower, Jackie Prete and Bindu Wiles for their generous support, continuous faith, and devotion to the art of teaching yoga; and her students for their constant inspiration and meaning to the practice. age or body type. She believes that the practice of yoga should be adapted to individual needs, rather than trying to mold one's body to the practice. Trained as an Integral teacher, her teaching style fosters a nurturing, supportive environment with the intention of creating a sense of calm inner awareness. 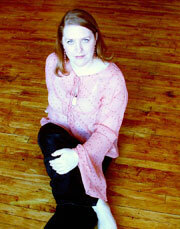 She specializes in yoga for the treatment of anxiety and she is a certified reiki healing practitioner. In addition to her yoga teaching, she also teaches for Music Together, an early-childhood music program, and is a classically trained pianist. Erin feels blessed to be a part of the Starlite community. She hopes to spread the light of yoga to as many as possible. Nataraja Nelson offers hatha with a reiki twist. 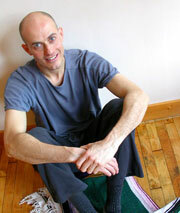 Advanced-level certified Integral Hatha Instructor and level two reiki practitioner. Nataraja enjoys teaching in a wide-variety of settings: NYC public schools, professional ballet company's school, healing organizations. He served and lived in a yoga ashram (Satchidanda ashram, Yogaville, Virginia) for one year. Nataraja appreciates the fantastic opportunity to serve the students of Starlite Studio.